John Masters Organics Citrus & Neroli Detangler is a lightweight formula which detangles and conditions with a highly-effective combination of 17 certified-organic ingredients: natural soy proteins and borage oil replenish lipid content, wheat & soy proteins restore strength and shine, and essential oils of grapefruit, lemon and neroli provide an uplifting aroma. Makes a great leave-in conditioner. Safe for colour-treated hair. Aloe barbadensis (aloe vera) leaf juice*, aqua (water), cetearyl alcohol, panthenol (vitamin B5), sorbitol, behentrimonium methosulfate, simmondsia chinensis (jojoba) seed oil*, cocos nucifera (coconut) oil*, helianthus annuus (sunflower) seed oil*, hydrolyzed soy protein, lecithin, citric acid, wheat amino acids, glycine soja oil, tocopherol, citrus grandis (grapefruit) peel oil*, borago officinalis (borage) seed extract*, linum usitatissimum (flax) seed oil*, sodium hyaluronate, glycerin, arnica montana (arnica) flower extract*, calendula officinalis (calendula) flower extract*, camellia sinensis (white tea) leaf extract*, canarium luzonicum (elemi) gum nonvolatiles*, chamomilla recutica (chamomile) flower extract*, citrus aurantium dulcis (neroli) flower oil*, citrus limon (lemon) peel oil*, cymbopogon shoenanthus (lemongrass) oil*, equisetum hiemale (horsetail) extract*, foeniculum vulgare (fennel) seed extract*, lonicera caprifolium (honeysuckle) flower extract, sulfur, tocopheryl acetate, sodium benzoate, potassium sorbate, limonene+, linalool+, citronellol+. +A natural component of essential oils. Below are reviews of Citrus & Neroli Detangler - 60ml by bodykind customers. If you have tried this product we'd love to hear what you think so please leave a review. 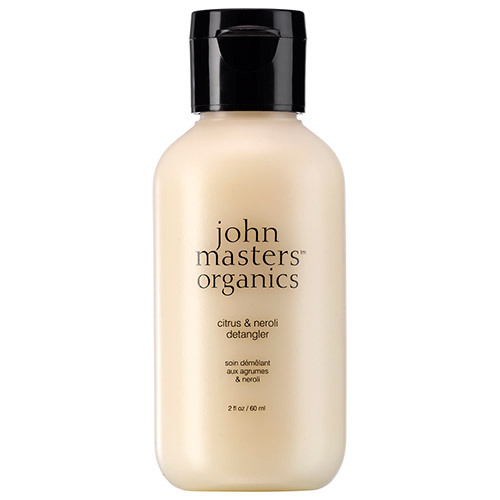 John Masters Organics Citrus & Neroli Detangler is a lightweight formula which detangles and conditions. 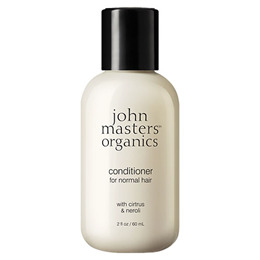 It is good for all hair types and makes a great daily conditioner for fine hair or an excellent leave-in conditioner.